Expected to begin production in February 2019, a biographical film about Harry Haft is in the works. Directed by Barry Levinson, it will star the actor Ben Foster as the principal protagonist. Inspired by a biography and real-life events, the upcoming biopic will tell the story of Harry Haft. The latter was a survivor of the Auschwitz concentration camp. During that time, he was forced to participate in boxing matches in order to survive. Barry Levinson will be sitting in the director’s chair for the flick. Mostly known for his role in ‘Hell or High Water’, Ben Foster will be the main protagonist in ‘Harry Haft’. He is an acclaimed actor, having been nominated for several prizes throughout his career including a Saturn Award. His most recent appearance on the big screen was in ‘Galveston’, in which he co-starred alongside Elle Fanning. 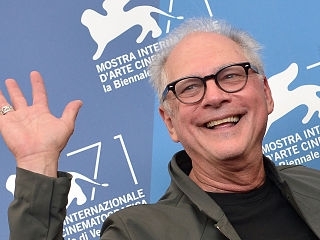 Debuting his career in Hollywood as a screenwriter, Barry Levinson turned to filmmaking in the 1980s. His first movie, ‘Diner’, for which he also wrote the script, earned him an Oscar nomination. He went on to win the Academy Award for Best Director in 1988 for ‘Rain Man’ which starred Dustin Hoffman and Tom Cruise. Furthermore, ‘Harry Haft’ will mark Barry Levinson’s return to the big screen as he has lately focused more on televised productions. Indeed his last flick, ‘Rock the Kasbah’ with Bill Murray, was released in 2015.